This message is at the root of the Transformative Therapy practice that Sharon Oliver has been using to help clients for more than 15 years. 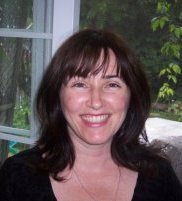 Sharon has spent many years becoming an expert at many different healing modalities. She starts with each person’s individual needs and intuitively sees the mental, physical and spiritual blockages that need to be removed in order to create a clear path to health. Sharon removes the blocks with an ability to pull from her repertoire of therapies; healing on all levels is increased and clients are able to leave the past behind and create a healthy life in the now.